The day of reckoning is looming, soon Alistair Darling’s final solution will come to pass. On the sixth day of the sixth month in this, the sixth year of the new millennium; Britain will turn back the clock and return to a dark age of tax. Admittedly that apocalyptic forecasting might have been a bit of an exaggeration, it’s 2010 and April is the fourth month of the year, but the dreaded 50 percent tax increase DOES fall on the sixth of April, whatever biblical connotations that has, only time will tell. This new, increased tax regime has led to many hearts a-fluttering, people, business and in some cases entire industries, are openly thinking of, or are in the process of, relocating to a lower tax jurisdiction. 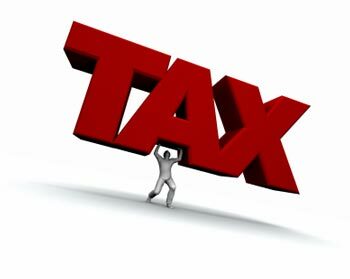 Of course you have probably heard of such occurrences in the media, but what you may be wondering is how the tax increase will affect you. While much has been made of people moving away to avoid the increase this isn’t of course an option for everybody. So how will the tax increase affect you? Is there anything you can do about it that doesn’t involve learning a new language? Let’s take a look at its potential impact and steps you can take to cushion its gut-wrenching sucker punch. The highest tax charge under the new rules is 50 percent, and this will apply to people whose earnings are at £150,000 or higher. Personal allowances are being phased out for people with an income higher than £112,950. The phasing will work in a gradual manner, until it hits zero. From 2011 the National Insurance rate for individuals will increase by one percent to two percent, the level of charge for employers will rise to 13.8 percent. The marginal rate for both income tax and national insurance will increase by 11 percent in the next year, jumping from 41 percent to 52 percent. The ability for people to legally shield themselves from the taxman’s sword is also being lessened. The high ‘£150,000 club’ earners will also see their pensions contributions relief further restricted. Whilst these rules won’t come into play until April of next year they were showcased by the government during the 2009 budget in a bid to discourage people from altering their contributions for their personal benefit. It is these changes to the payroll tax that has forced both individual people and business to take a look at the bigger picture as they aim to find ways of avoiding these increased legislations. An option that has been earmarked is bringing forward shares of profit that come before the 2010 date. This could involve creating deferral mechanisms that would go into Employer Funded Retirement Benefit Plans (EFRBs) and Employee Benefit Trusts (EBTs). This practice would entail the maximisation of capital gains and share incentives, either by using approved plans or by creating restricted incentives that have a small initial tax burden leading to long term tax on capital gains growth. Some people may also find that they can achieve substantial savings via remittances, providing these were made before the 6th of April. However, remittances can come with complex issues and will require a large amount of planning, preferably with the help of a qualified financial adviser.